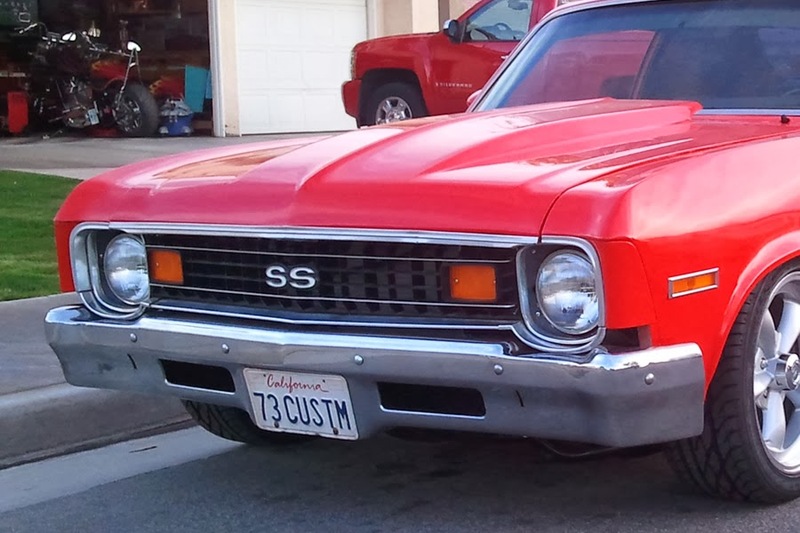 In 1973 Chevrolet was required to increase the crash resistance of the bumpers on its vehicles. This began the era of the "big bumper" Novas. 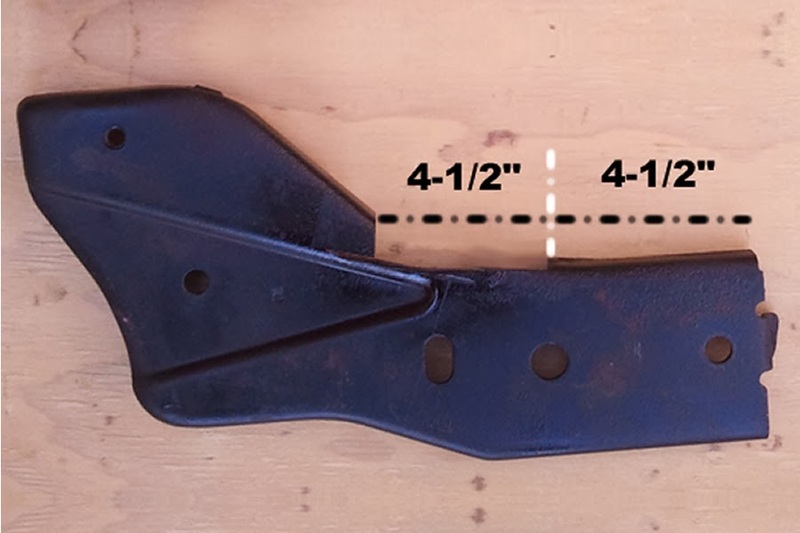 In order to be able to accommodate an up to 5 mph impact, the bumpers were pushed out away from the body 2-3 inches which made the bumpers look really bulky. 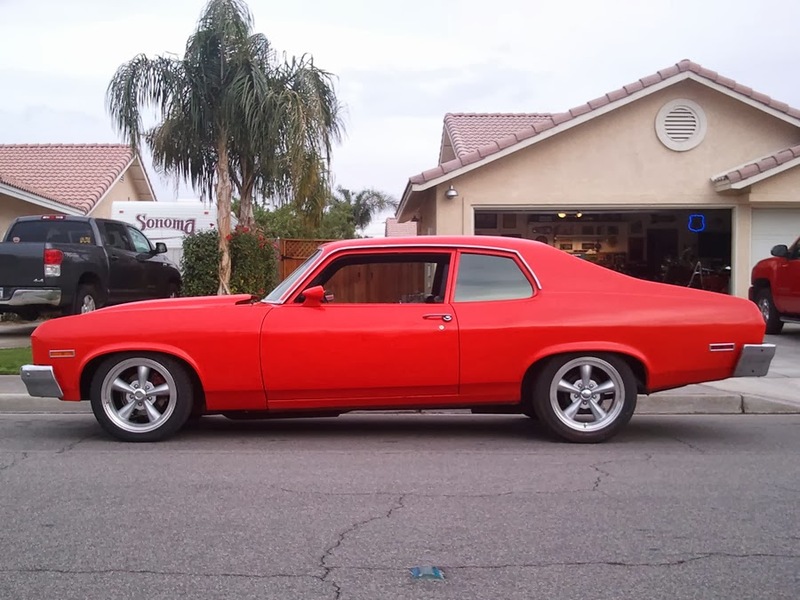 Big Bumper Nova owners wishing to clean-up the look of their 73-74 Novas have two choices. 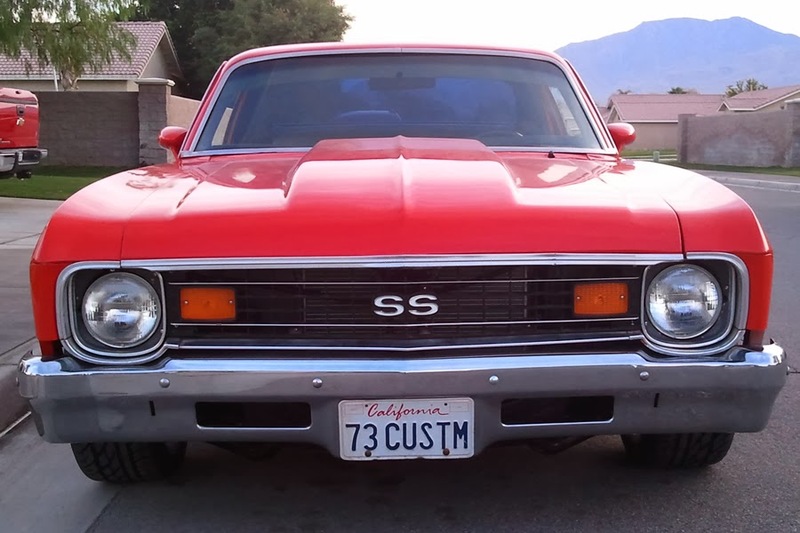 They can swap the nose trim, grill and bumper for a 69-72 setup which is a basically bolt on swap as the fenders are the same, but this is not cheap swap and it changes the personality of the 73 nose. 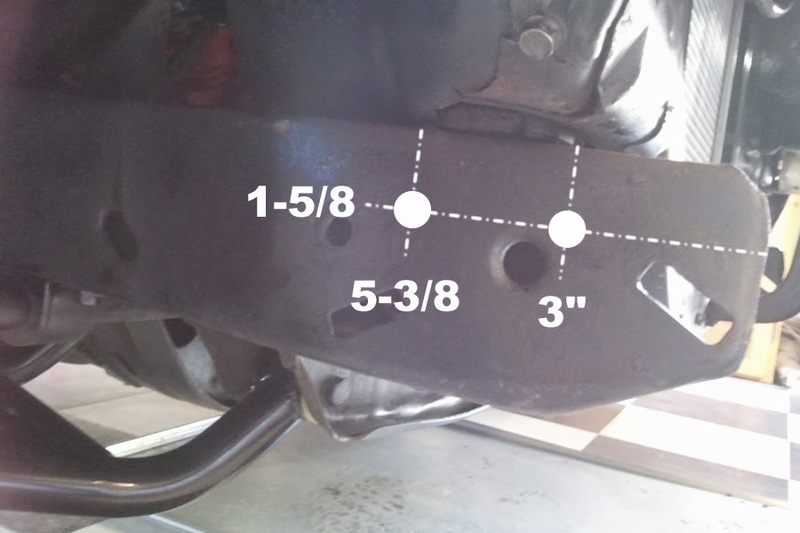 The alternative is to perform the "bumper tuck". This is fairly quick and cheap. 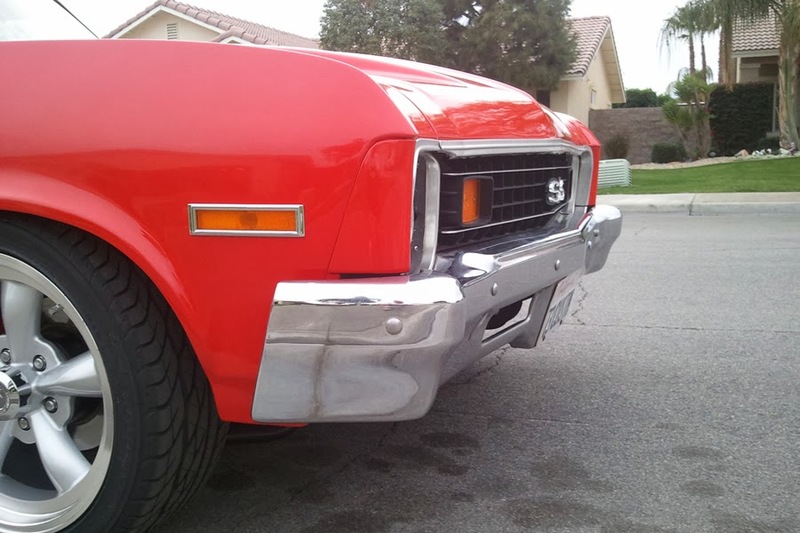 On the front and rear, the bumper tuck eliminates the 2" plastic/vinyl trim that is suspended between the bumper and the grill or end panel and moves the bumper back to sit abutted to the grill or rear panel. 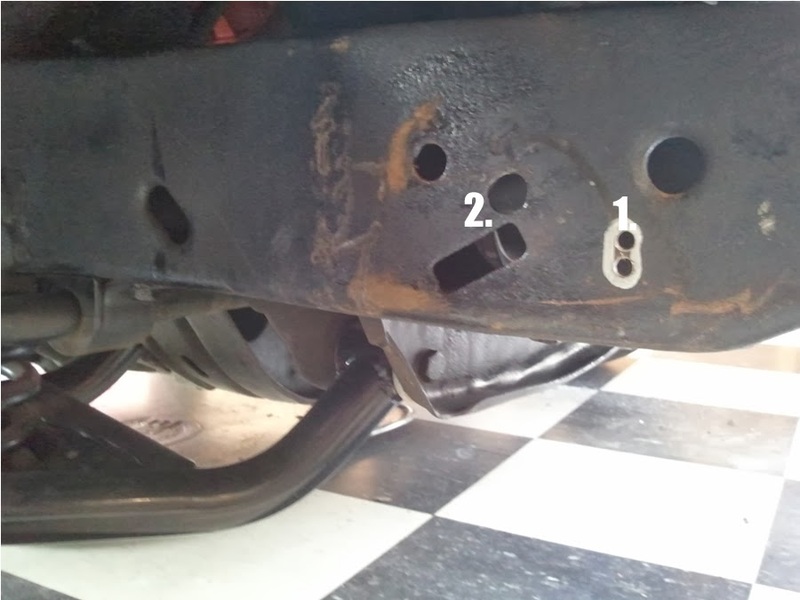 On our car the rear bumper tuck was performed by the previous owner (who told us he also replaced the rear bumper with a 1974 bumper). Since I had the front grill removed for paint, I decided to reassemble the front end with a front bumper tuck. 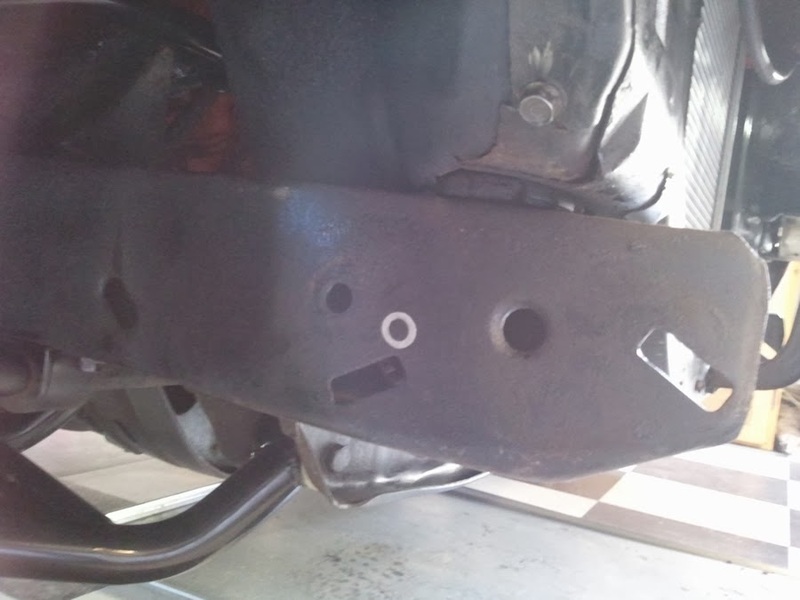 Step one was to notch the bumper bracket. 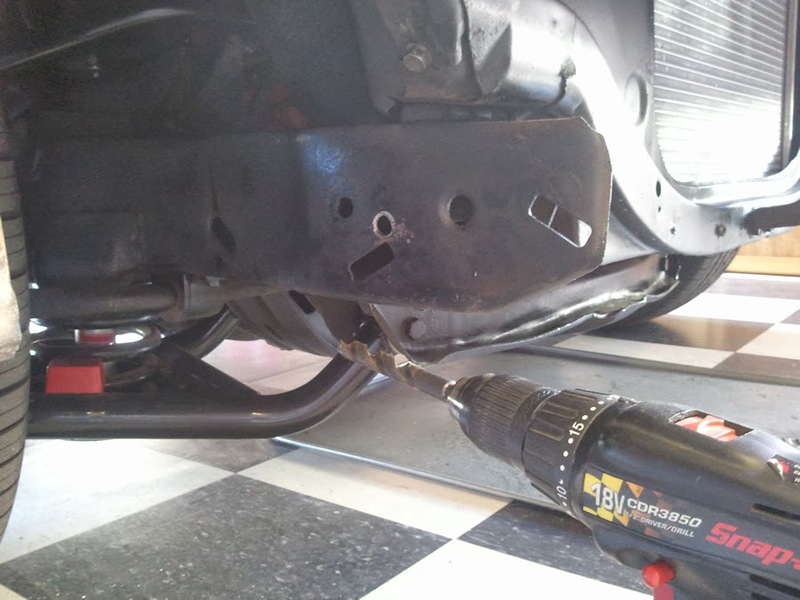 These bolt to the frame and when you slide them back without the notch they will run into the radiator support. Next Drill the new holes in the frame with a 1/4" or 5/16" bit and then finish the hole with a 1/2" or 9/16" drill bit. 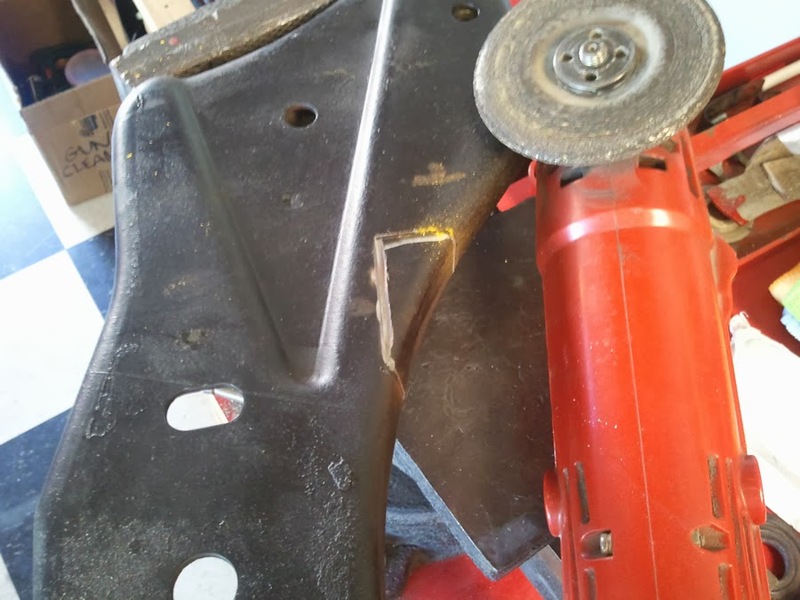 I only had a 1/2" so I needed to the clearance the holes so the bolts would slip through. 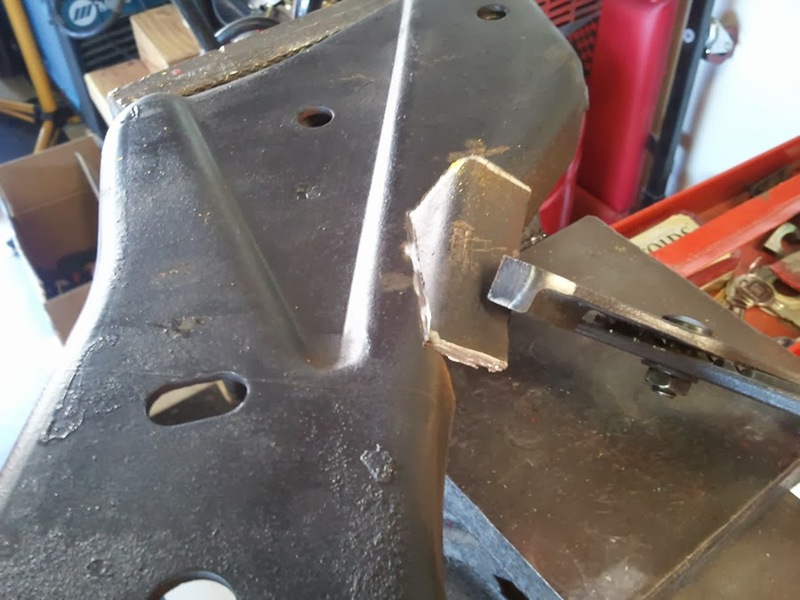 The brace is now bolted to the frame using the first two bolt holes on the brace. The #3 bolts are no longer bolted through the frame because the frame bends in away from the bracket. 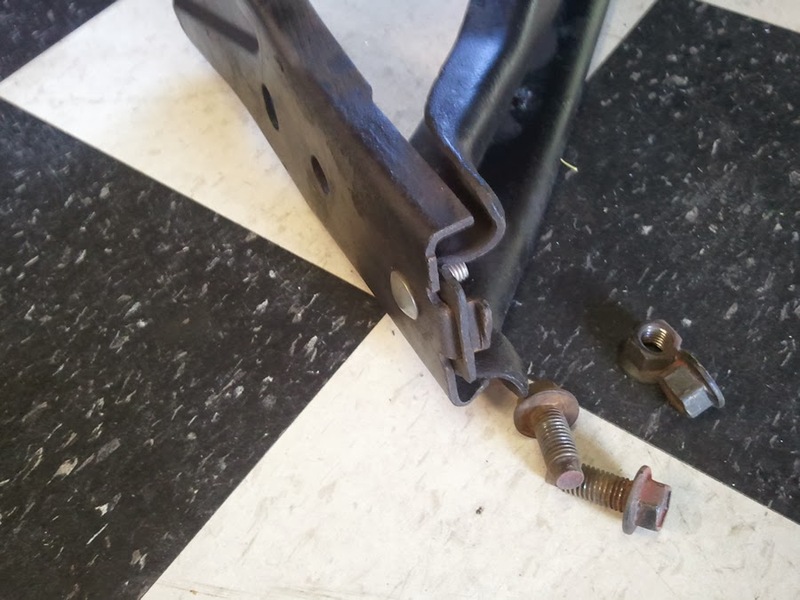 Here I just used an old bumper (carriage) bolt to tie the bumper bracket together with the outside bumper bracket. 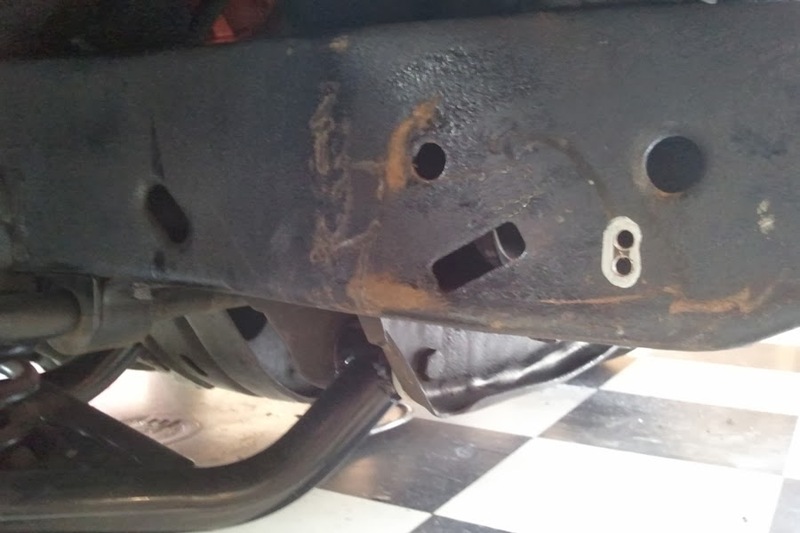 Bolt the bracket to the frame in the new bolt hole location and you will have a bumper tuck that sits up over the lower grill trim and above the bottom of the headlight trim. I also wanted to see how it looked if I bolted the bumper below the lower grill and headlight trim. The upside is you can move the bumper further back about 1/2", the downside is the 2" gap between the bumper and filler panel that would need to be filled. To do this I added another elongated hole lower on the frame rail. (This pic is before I connected the two holes.) For the back bolt I used the existing slot in the frame. If you use this bumper tuck you don't need to notch the braces but you definitely will need to fab filler panels for the side trim. 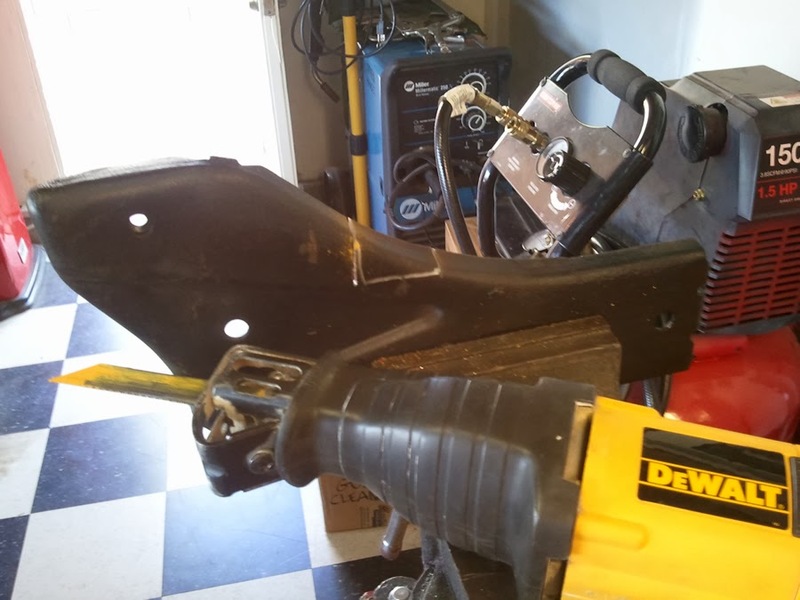 Also with the bumper pulled this far back I found my front tire ran into the rear edge of the brace so if I left it this way I would have needed to trim the back of the brace. It seems everyone goes with the upper tuck and I concur, even if the gaps weren't there the lower grill trim now becomes a visual element and it changes the look of the front end. Yes, the background image is a photo of a trainload of 1973 Novas being delivered to a town near you. '92 Camaro 305ci, mild cam, Edelbrock intake, Edelbrock carb. (This is a "driver" motor as the original 350ci, 4-bolt main block is waiting for the 383ci treatment.) Shorty Headers, 2" Flowmaster Exhaust. 350TH 3-speed auto transmission w/ B&M ratchet shifter, 10 bolt non-posi rear. 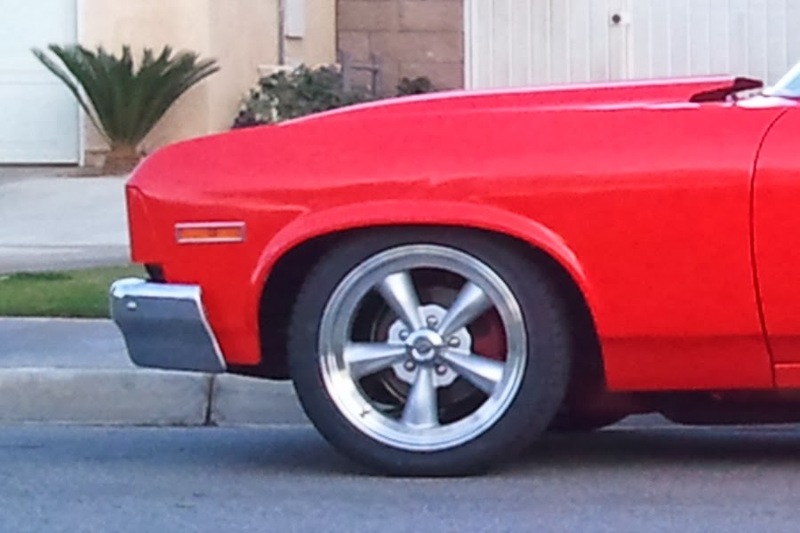 Rear - Goodyear Tires 245-45/17 on Vision Legend 17x8 with 5.25" backspace. 2" drop Hotchkis leaf springs. KYB Gas-A-Just shocks. 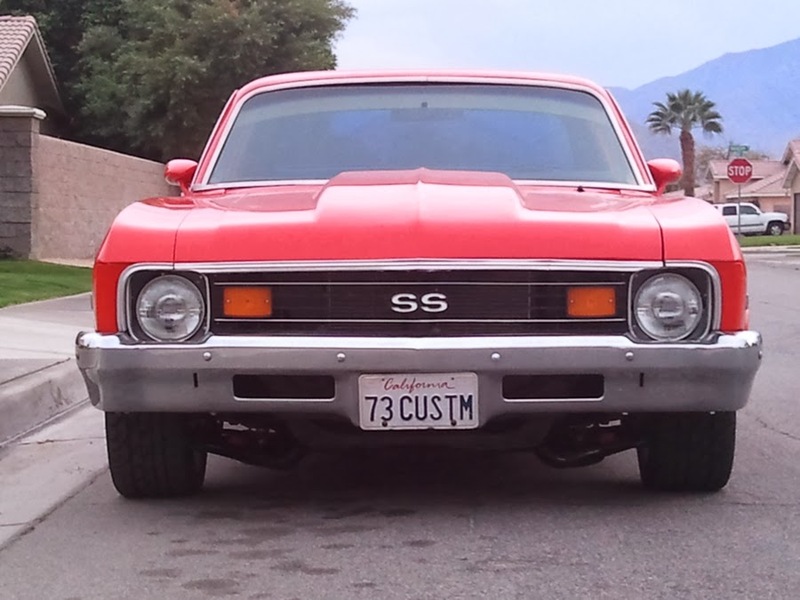 Front and rear bumper tuck, 2" cowl hood, SS paint treatment, Spoilers by Randy chin spoiler, Nova Rally mirrors.